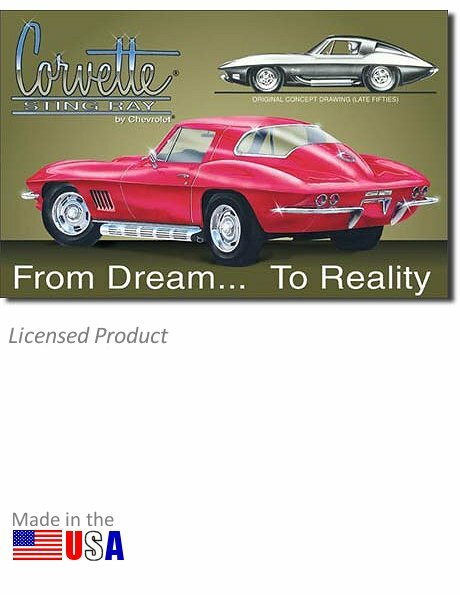 Early 1960s Corvette collectors and aficionados will love this tin metal reproduction of an original advertisement. A great gift for the 'Vette lover! This is a metal sign, made in the U.S.A. Measures 16 inches wide by 12.5 inches high. UPC: 6-05279-10694-3 | Part No. 694. Ask a question about "Corvette Sting Ray: From Dream To Reality" Tin Sign.